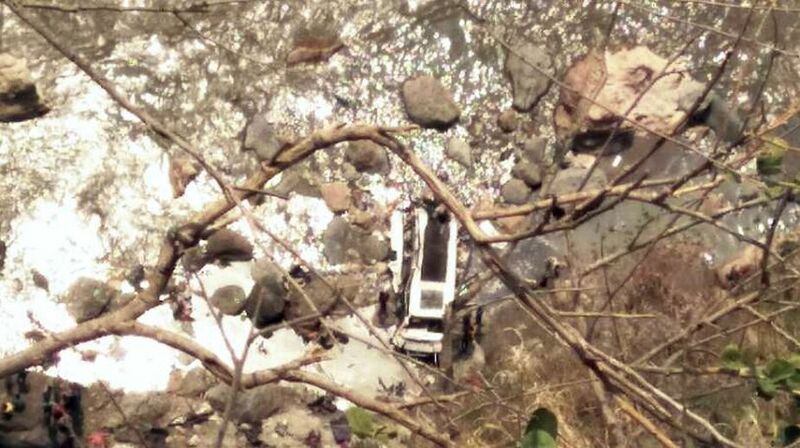 Forty-four people were killed on the spot on Wednesday when a private passenger bus from Uttarakhand plunged into River Tons near Gumma in remote Nerwa area of Shimla district in Himachal Pradesh, 140 kilometres away from here. The bus was on its way from Himachal's Vikasnagar to Tiuni in Uttarakhand and was passing through the Himachal stretch, which fell in its route. The bus was carrying 46 people and it rolled down as the driver reportedly lost control over the vehicle while negotiating a sharp curve on the narrow hilly road. The two survivors include conductor of the bus, who jumped out of the bus during the accident, and a boy from Gumma. Both sustained minor injuries. The accident took place around 11 am. The victims included 31 men, 10 women and 3 children, the Police said. “We have recovered all the bodies. Only 20 have been identified so far, out of which 13 deceased are from Uttarakhand and seven are from Shimla district, mainly Chopal,”Sub-Divisional Magistrate, Chopal, Anil Chauhan, who was supervising rescue operations on the spot, told The Statesman. He said the rescue operations were carried out by the Police, Home Guards and State Disaster Response Force (SDRF) from Uttarakhand. “As the gorge where the bus fell down was steep and 150 metres deep, it is difficult to retrieve the bodies and bring them to road head,” Chauhan said. There were problems in identification of the bodies as they were in bad shape, having got badly stuck in the mangled remains of the bus. Deputy Commissioner, Shimla, Rohan Chand Thakur and a team of doctors from Shimla and surrounding areas also reached the site of accident. 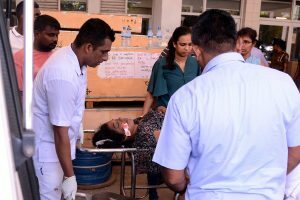 The officials said exact cause of the accident could not be ascertained as it was a matter of inquiry. The Police are inquiring into the details of the accident from the conductor. Expressing condolences over the death of 44 persons in the bus accident, chief minister, Virbhadra Singh directed the district administration for quick rescue and relief measures on the spot. Meanwhile, Governor Acharya Devvrat and other political leaders in the state have expressed condolence over the death.